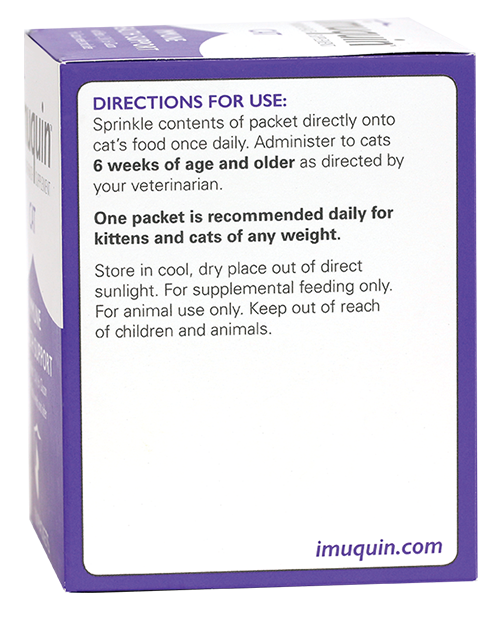 Imuquin™ Cat is a unique blend of ingredients that function to support the immune health of kittens and adult cats. 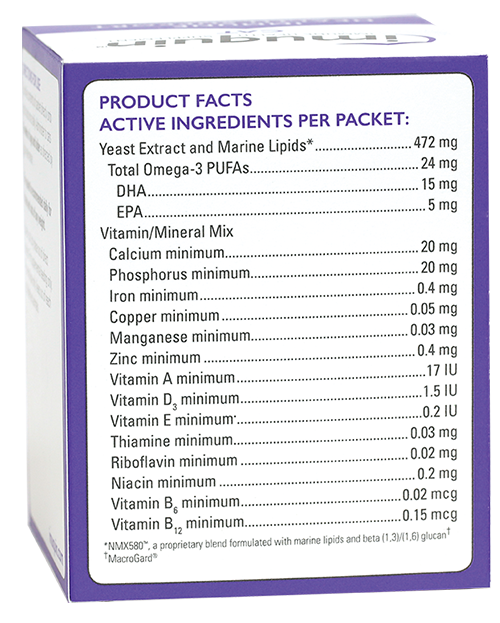 These ingredients include beta-glucan, marine lipids, and a mix of vitamins and minerals. Imuquin™ Cat is available from your veterinarian. Imuquin™ Cat is available from your veterinarian. Sprinkle contents of packet(s) directly onto cat's food once daily. Use a minimum of 21 days or as directed by your veterinarian. WHY IS IMMUNE HEALTH SUPPORT IMPORTANT FOR CATS? A well-functioning immune system is crucial for maintaining health. Immunity requires a complex interaction of organs, cells, and molecules to work together as the cat’s defense against a challenging environment. The blend of ingredients in Imuquin is specially formulated to provide immune support. Beta-glucan helps maintain a normal immune system, preparing it for possible challenges. DHA and EPA are important for maintenance of numerous organ and tissue functions, including immunity. Several vitamins and minerals help the immune system function effectively. Effectiveness of an immune support product is best measured by continued good health— simply by not becoming ill. This is the principle of quality health care. 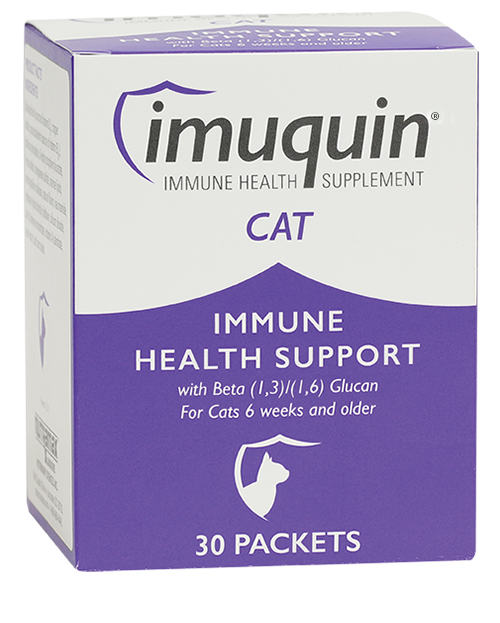 WOULD MY CAT BENEFIT FROM IMMUNE HEALTH SUPPORT? 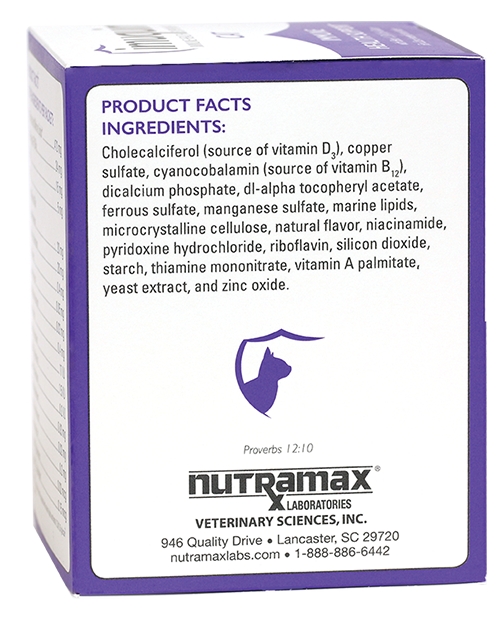 Throughout cat's lives, there are numerous opportunities for the immune system to function suboptimally. Sometimes cats need help to manage through these challenges. We would encourage you to ask your veterinarian, who will discuss specific concerns and immune system issues and make appropriate recommendations for your cat’s individual situation.